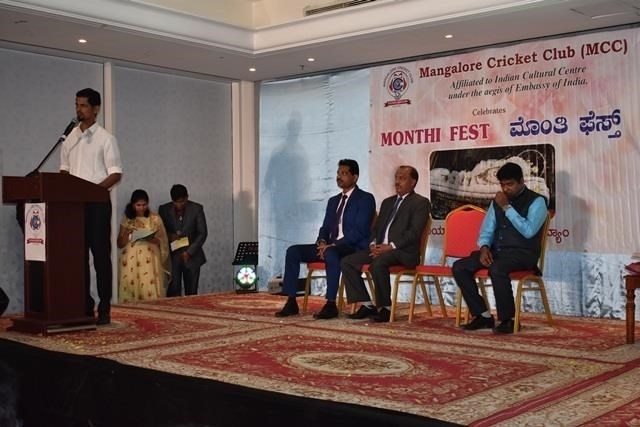 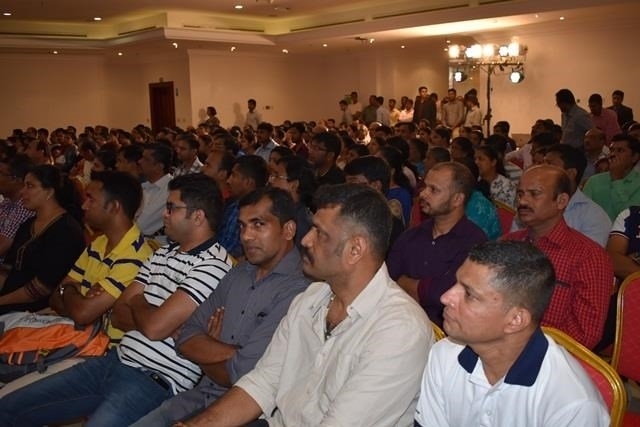 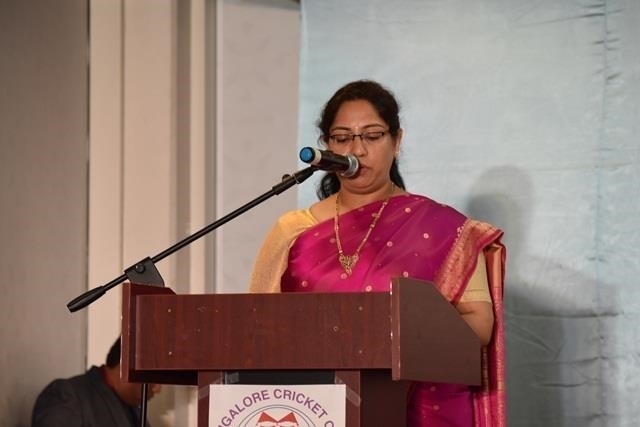 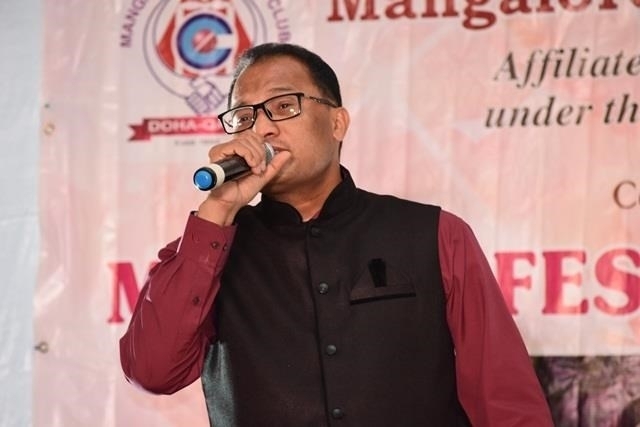 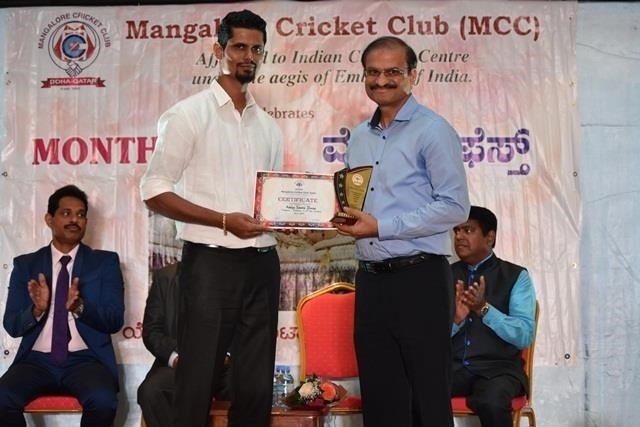 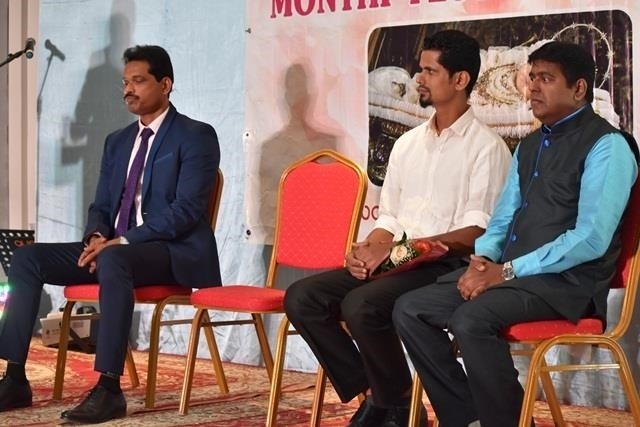 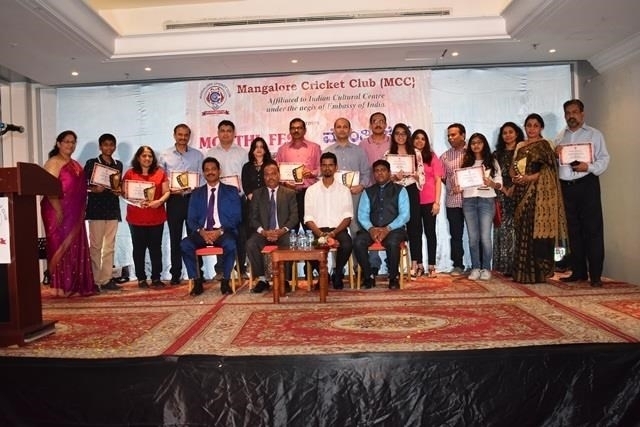 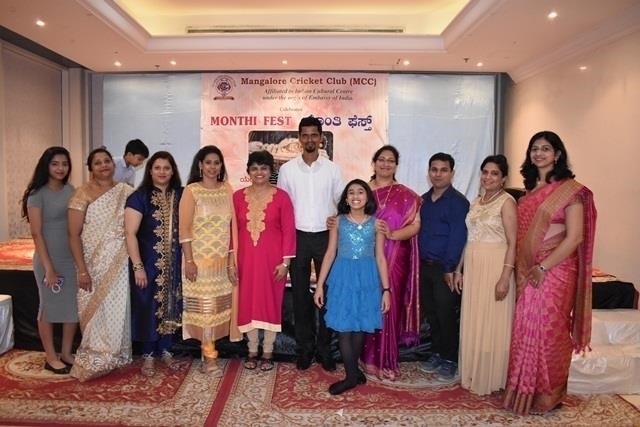 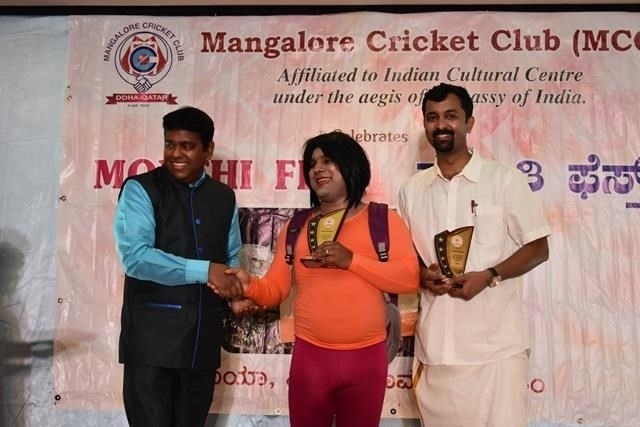 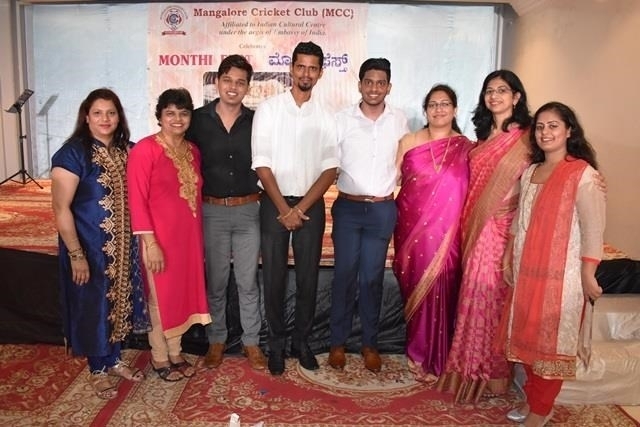 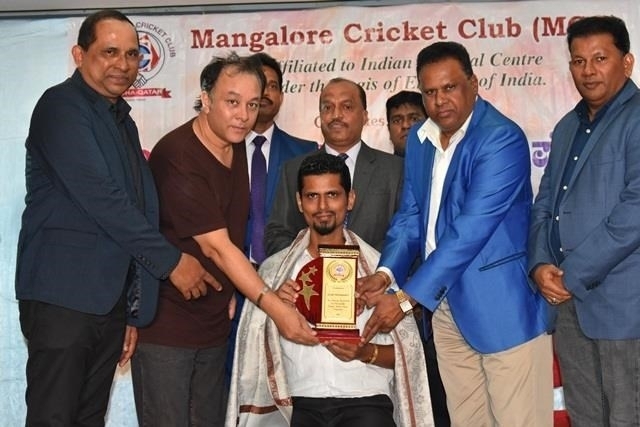 Doha Qatar: Mangalore Cricket Club (MCC) in its 27th year celebrated the annual traditional Monthi Fest on 14th September 2018 in full grandeur at the Multi-purpose Recreation hall in Asian Town. 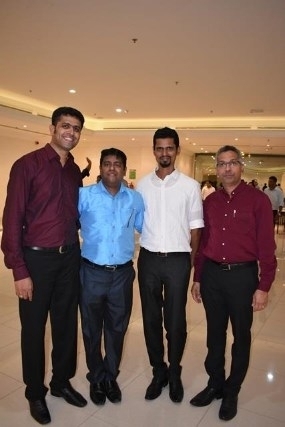 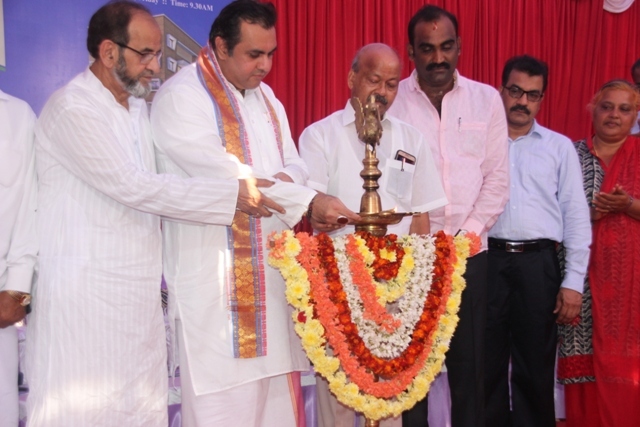 Mr. Roshan D’Souza, Belman, Founder of Humanity Trust was the Chief Guest. 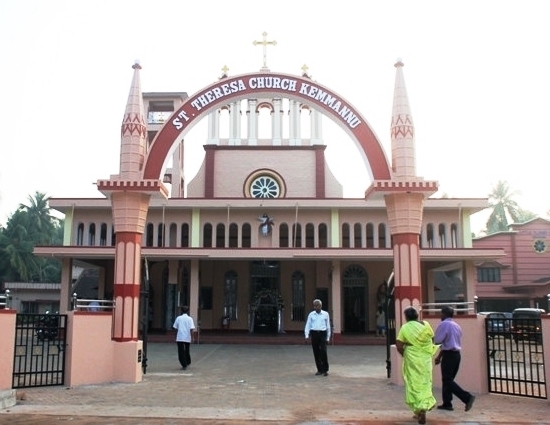 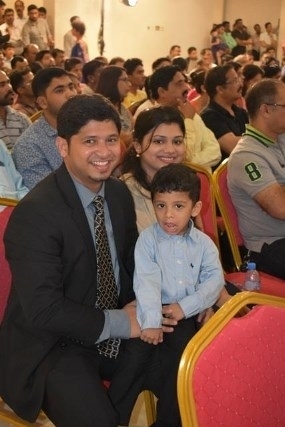 The evening began with a meaningful prayer song from our little children “Santhan Mayeche Udari” glorifying Mother Mary and invoking her blessings melodiously to the music played by Pradeep Menezes and the kids were trained by Jeevan Ferrao and Naveen Oswald Pinto. 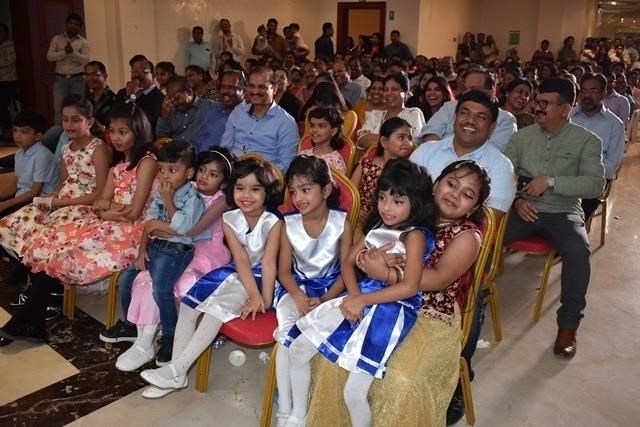 The cultural program followed immediately with the little children’s welcome dance performed on the song “Santos Pavya” set the program mood with their beautiful performance. 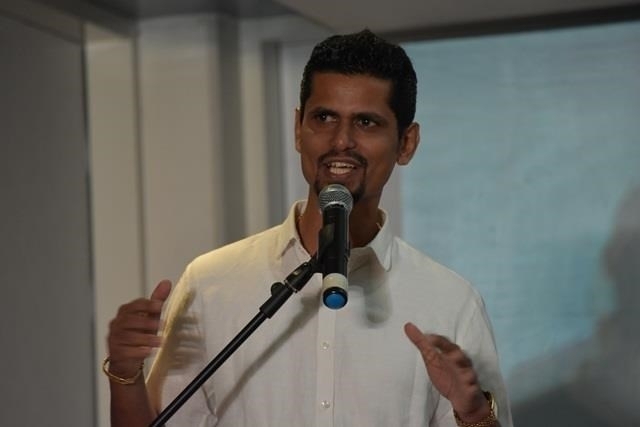 Dance was choreographed by Derick Crasta. 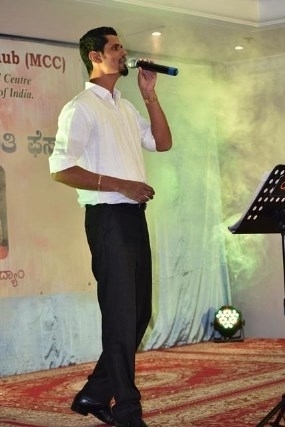 Naveen Oswald Pinto entertained with his melodious singing solo "Maria tuzo mog maka zala". 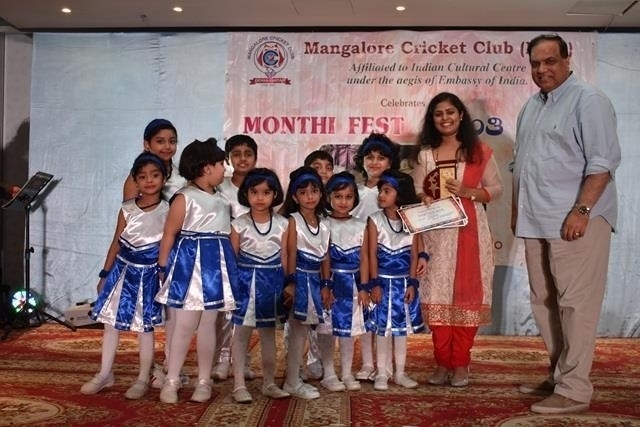 Little children honoured Mother Mary with another dance on Marian song "Sadevn Maye Namaan tuka" with their beautiful performance choreographed by Wilma D’Souza. 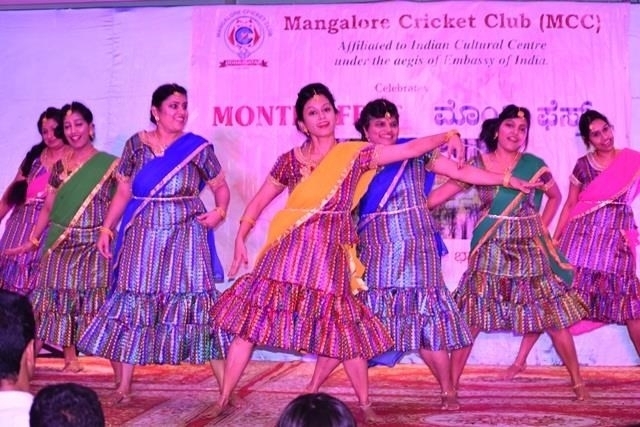 This was followed by the stage program. 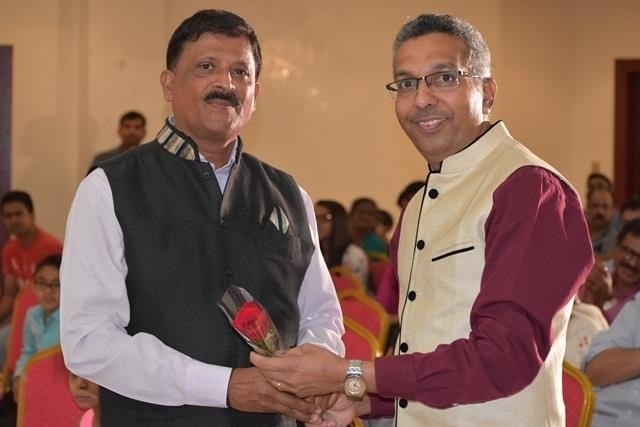 President Sunil D’Silva in his Welcome speech greeted Chief Guest Roshan D’Souza and all gathered, placed all activities report since he took over as President, and also announced future programs. 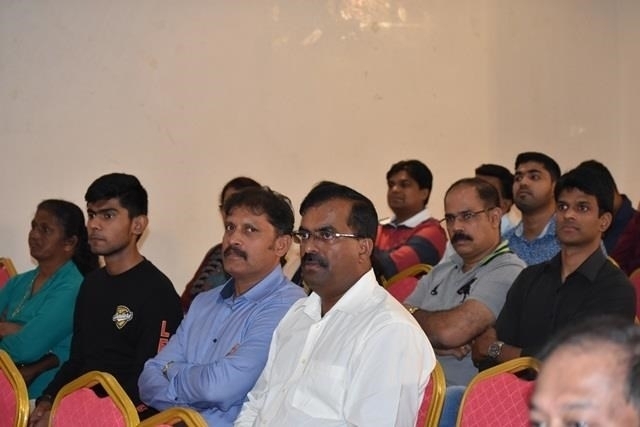 President requested members for their active participation and support in club activities and in building members strength. 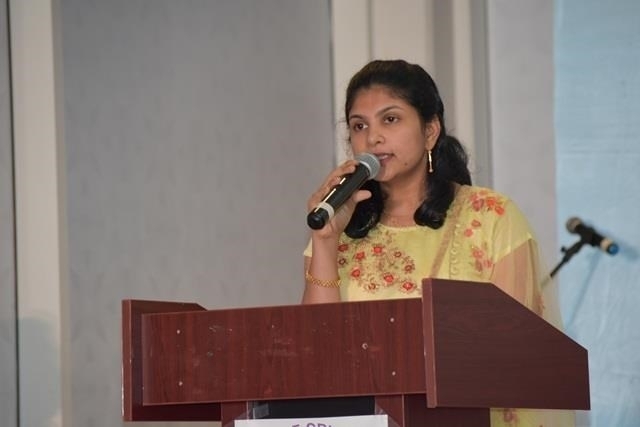 Then Cultural Secretary Kavita Tauro conducted the award ceremony to all the Academic achievers who excelled in 10th & 12th Std. 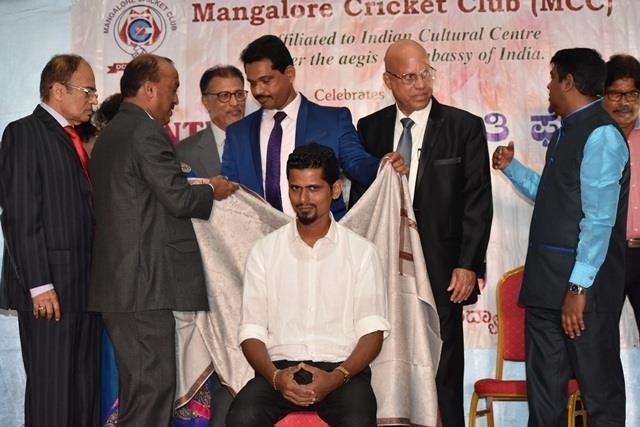 Board exams, sports and in other fields. 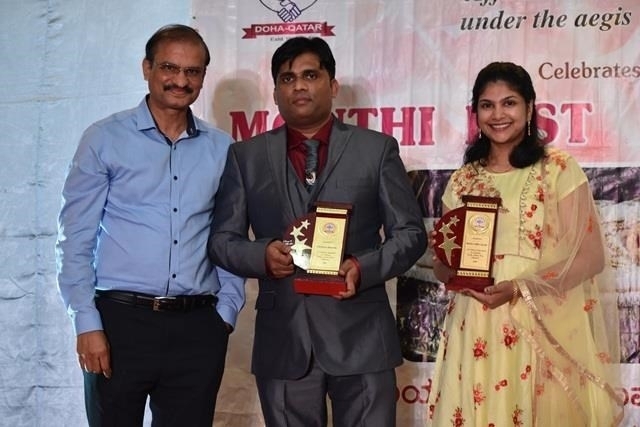 Students excelled in 12th Std. 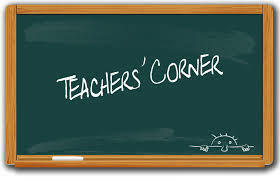 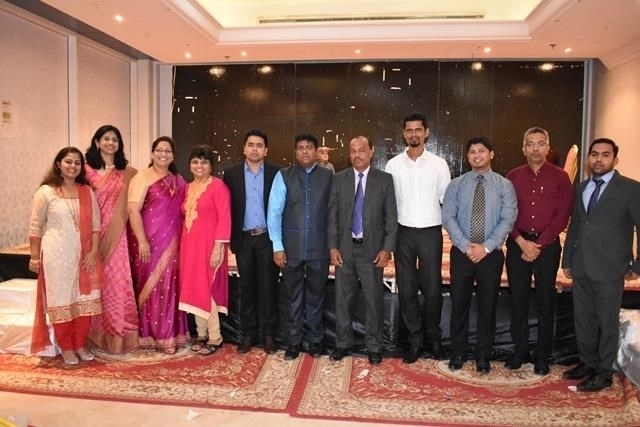 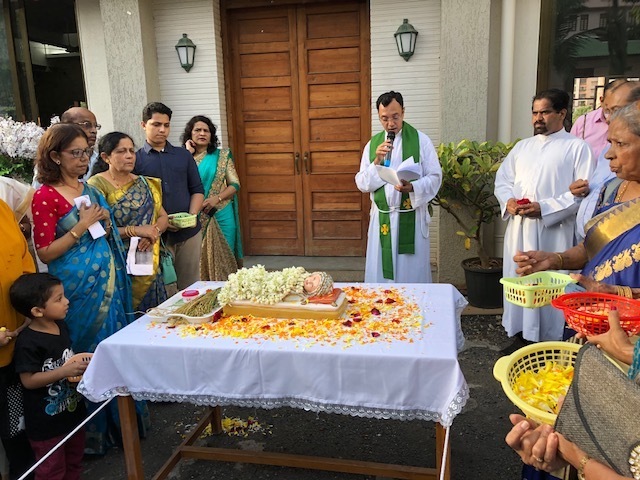 are Adelyn Savena D’Souza, Kline Keith Menezes, Aaron Avith D’Souza, Dale Nihith Monteiro (Science Stream) and Angela Jelita D’Souza (Commerce Stream). 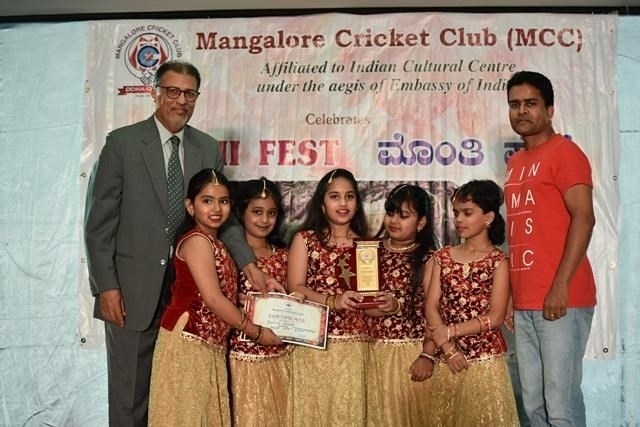 Students excelled in 10th Std. 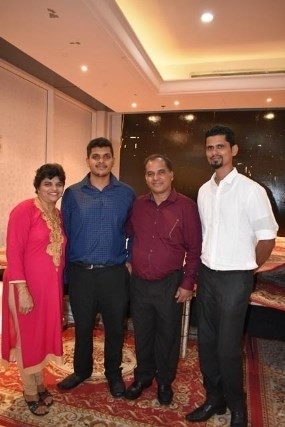 are Adrian Rex Coutinho, Nevan D’Souza, Ashlyn Monteiro and Clarina Pinto. 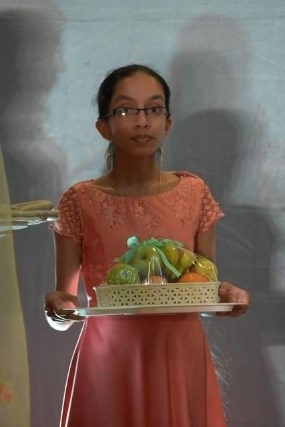 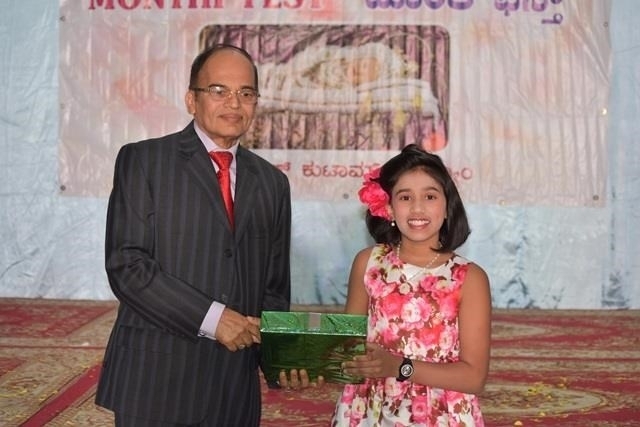 Marilyn Judith Rego, 9th Std student was honoured for her excellence in Co-curricular activities. 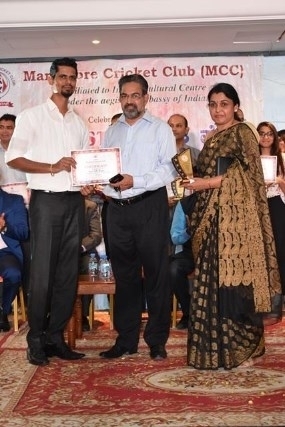 All achievers escorted with their parents were honoured with memento and certificate by Chief Guest Roshan D’Souza. 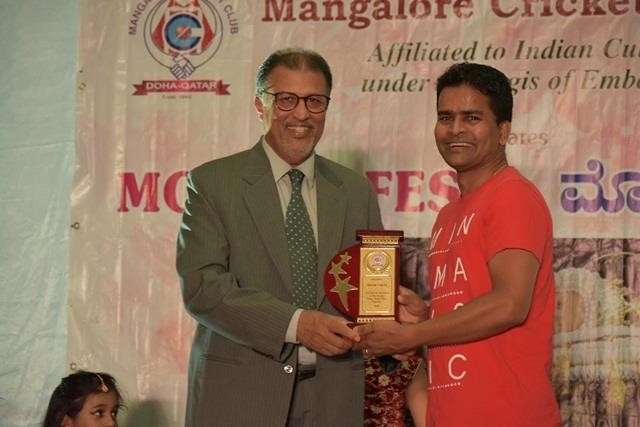 President Sunil D’ Silva honoured member Vijaya D’Souza for her beautiful choreography on the song "Manglur Amche" recently done for another event. 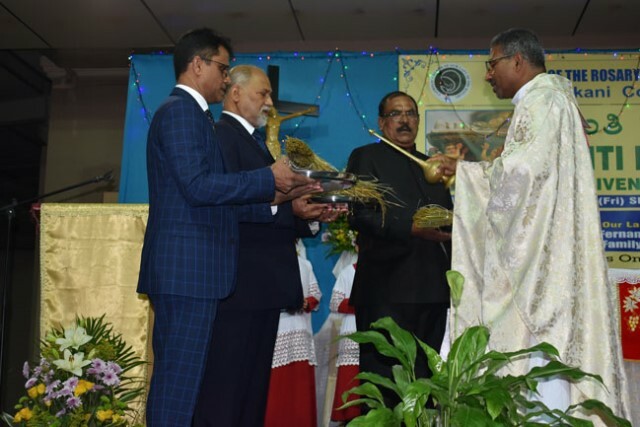 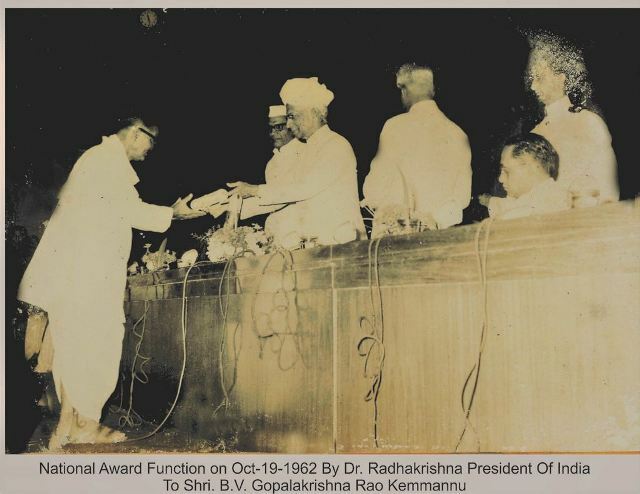 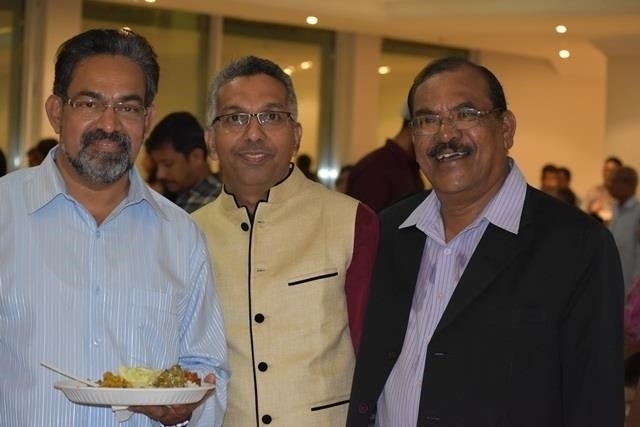 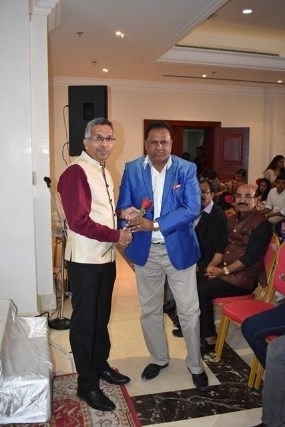 Then Immediate Past President Prakash Noronha introduced the honouree Mr. Roshan D’Souza for his service to the needy through his "Humanity" Trust. 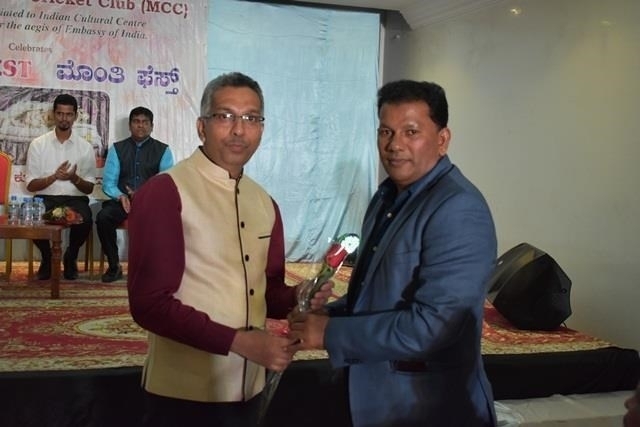 President Sunil along with MCC Advisors joined on the stage to honour Roshan D’Souza with a shawl, memento and a fruit basket. 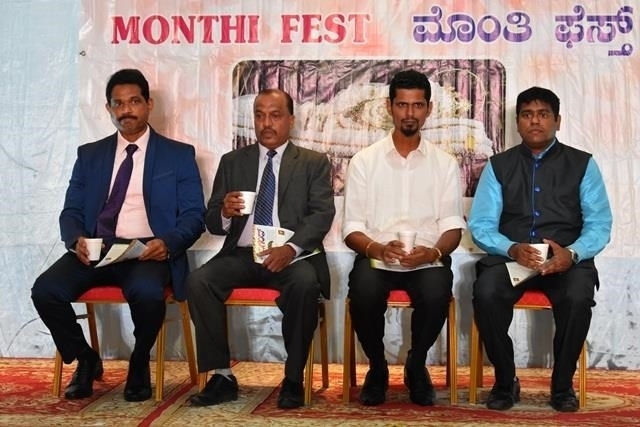 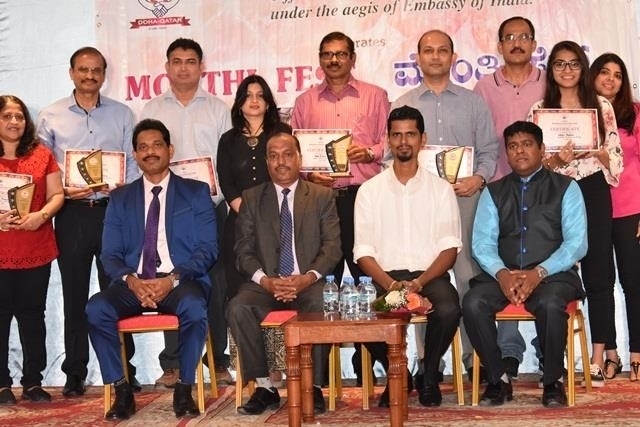 Presidents and Managing Committee members of Karnataka based associations Karnataka Sangha Qatar, Tulukoota Qatar, Karnataka Muslim Cultural Association, South Kanara Muslim Welfare Association, Bunts Qatar and Billawas Qatar jointly honoured Roshan D’Souza for his service extended beyond all religion, caste and creed. 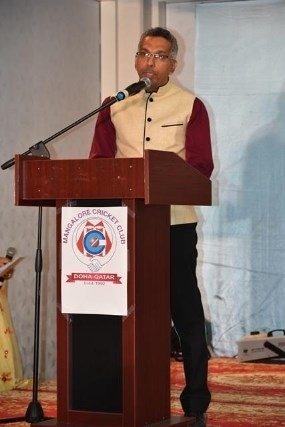 Then Roshan addressed the gathering and thanked MCC for the opportunity given to him to be in Qatar and for the great honour. 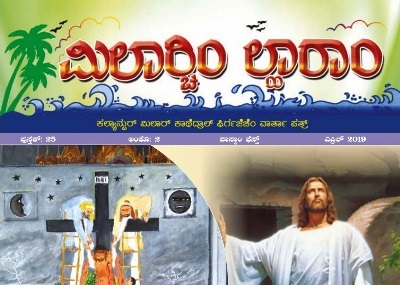 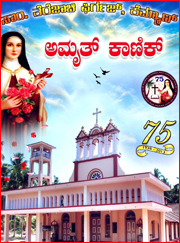 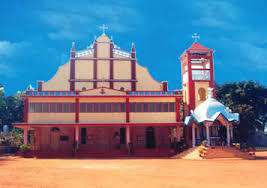 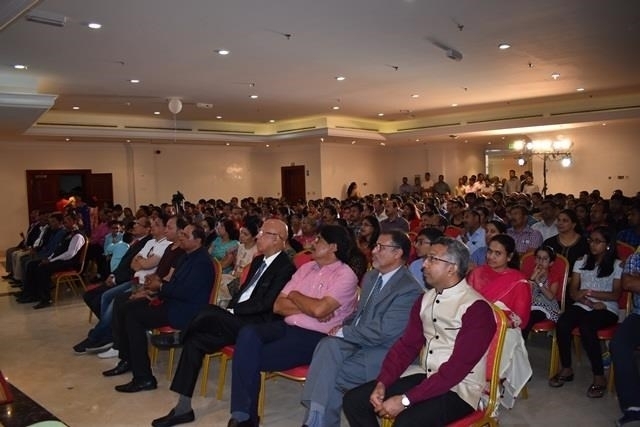 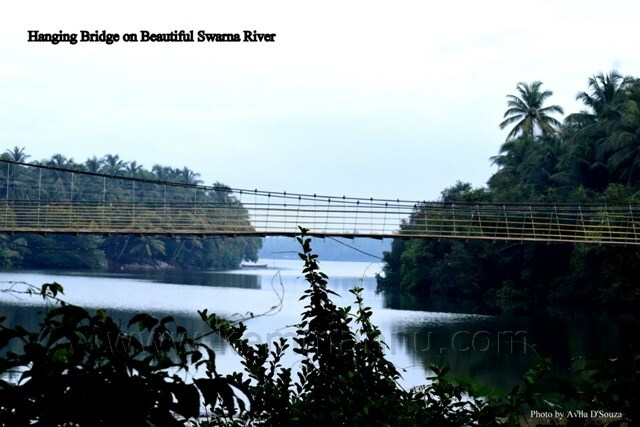 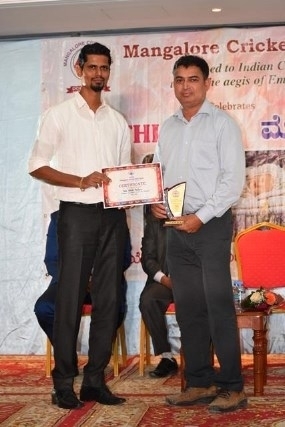 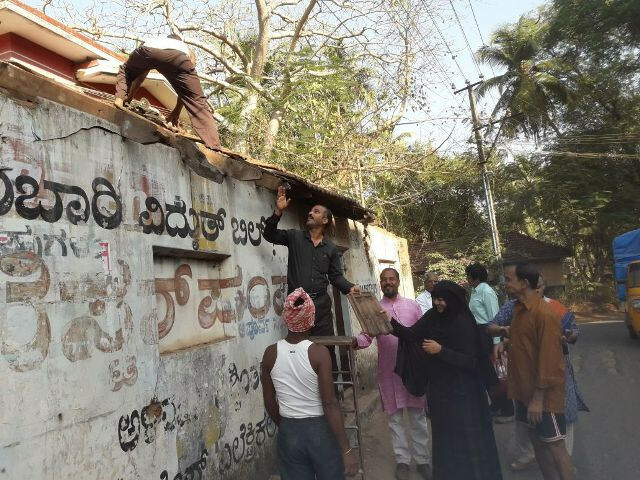 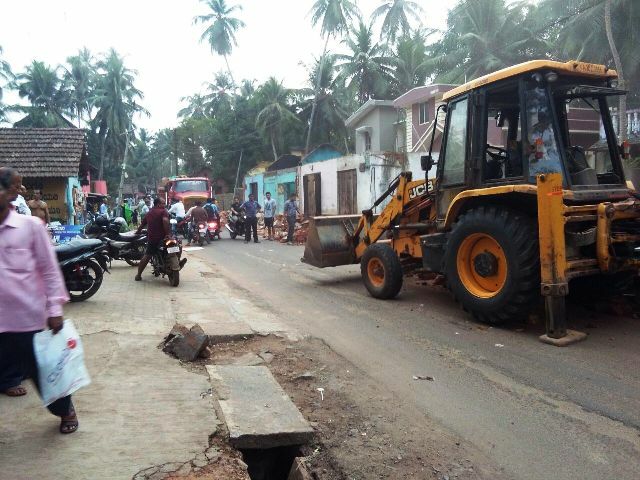 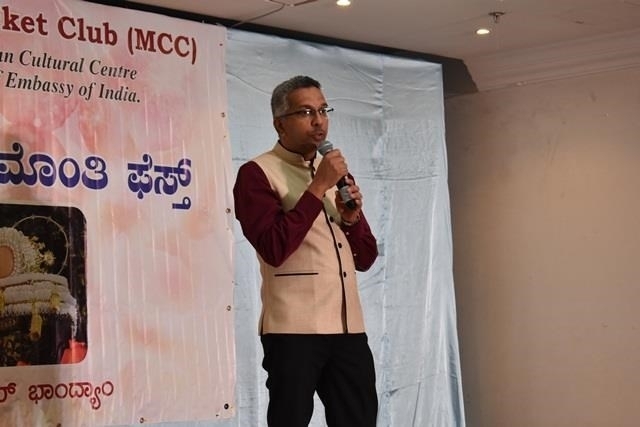 Also he spoke in Konkani and Kannada about his impressive journey started in a small way reaching out to the needy through Humanity Trust and now this Trust has been supported by many with the publicity videos on social media and has gained momentum to Humanity works to reach out to more deserved people in need. 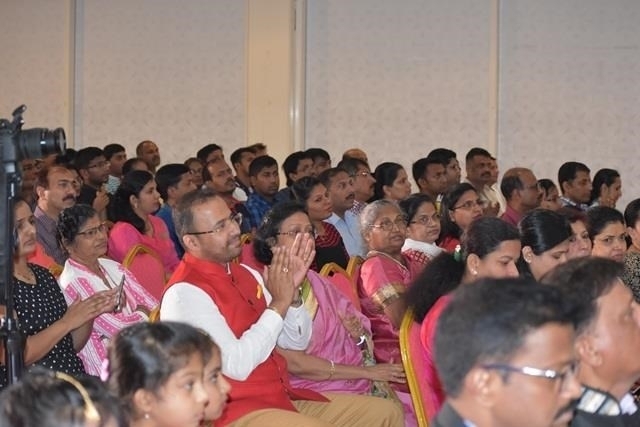 He was pleased to share that his charity through Humanity Trust has exceeded Rs.1.5 Crores and has also reached directly to the needy with an additional amount of Rs. 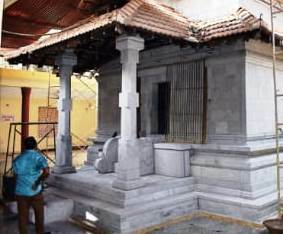 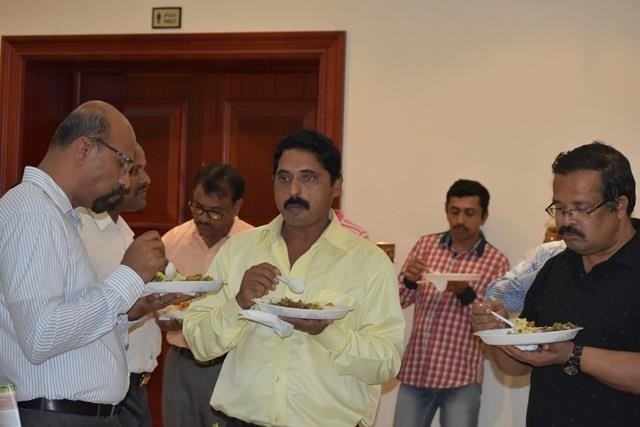 2 crores. 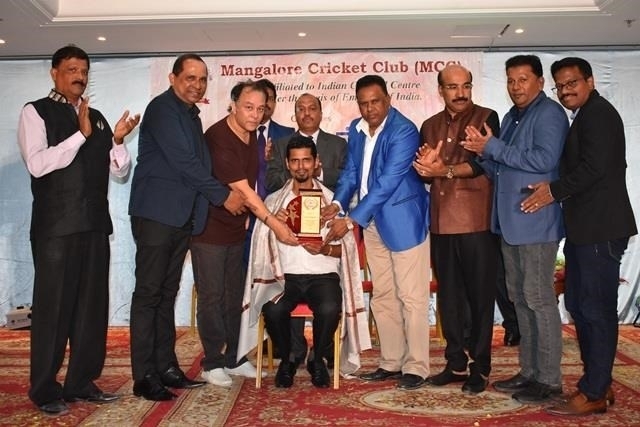 He was very grateful for recognizing his services and has dedicated this honour to all humanity supporters and well wishers. 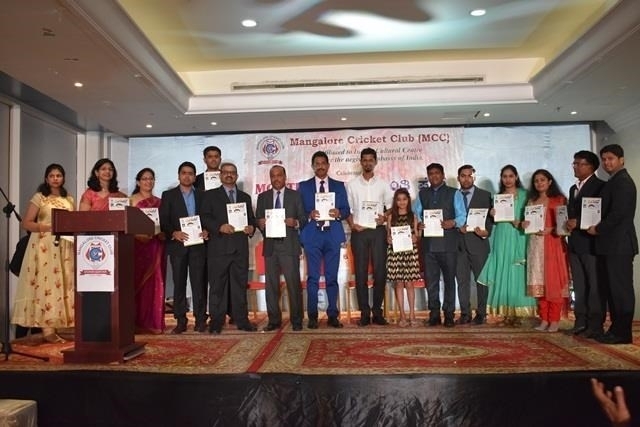 Vice President Mr. Joachim D’Souza also editor of club newsletter Sugandh presented it to Mr. Jerald D’Mello, Founder member of MCC, to release it. 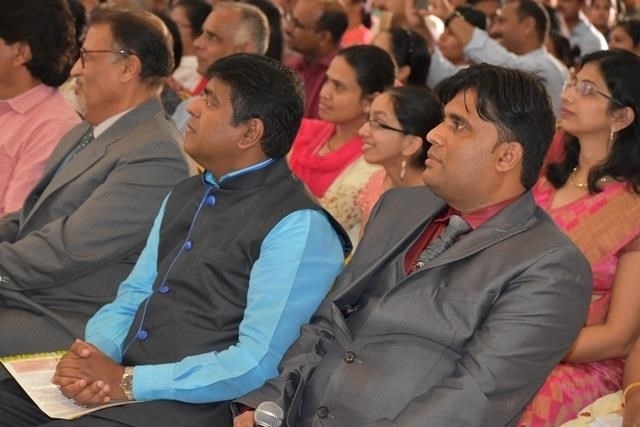 Committee members joined them for the release of Sugandh. 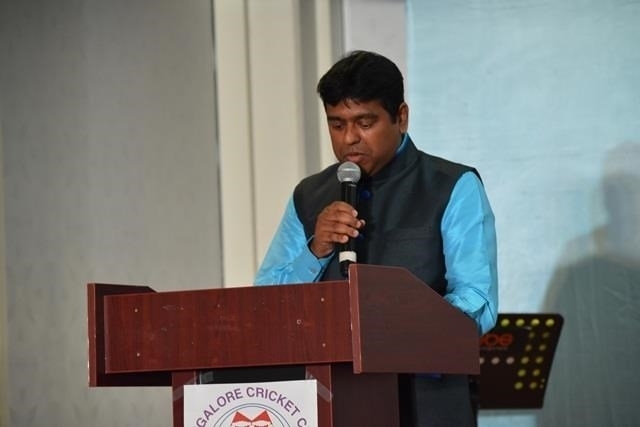 Past President and Advisor Mr. Richard D’Souza recited a prayer before Novem was served to all. 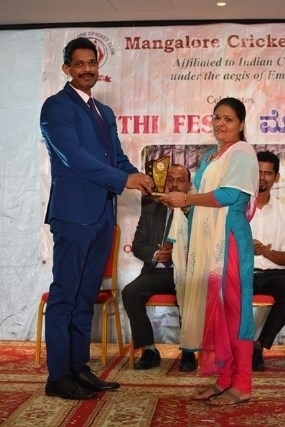 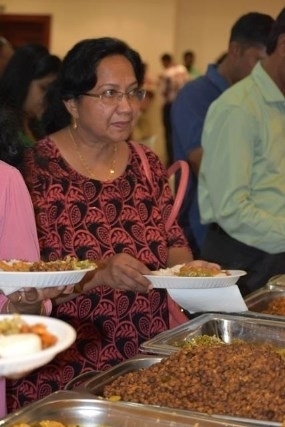 The main cook Mrs. Jyothi Pereira who shouldered responsibility of cooking Novem Jevaan for more than 500 people was honoured by Jerry D’Mello. 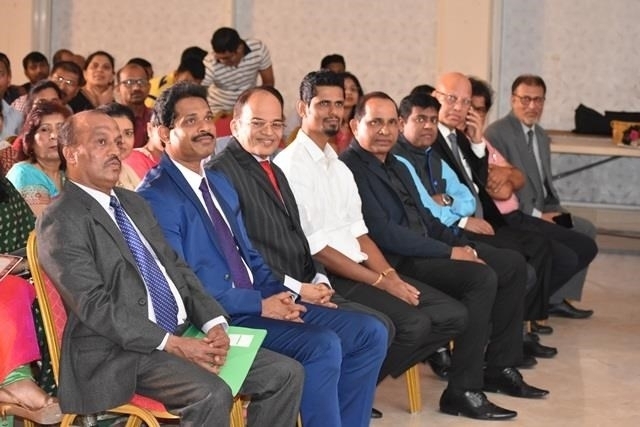 Stage program concluded with Vote of thanks by Vice President Joachim D’Souza. 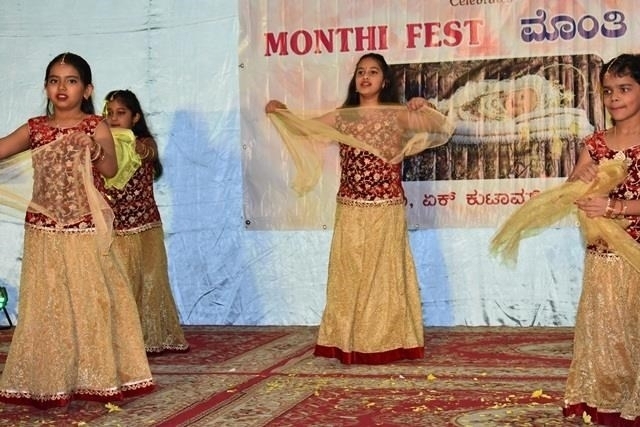 Evening continued with non-stop colourful Cultural program from young and old. 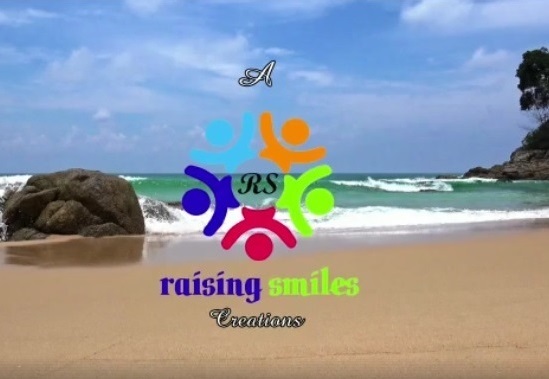 Rib-tickling joke was presented by Amith Mathias and Jason Menezes. 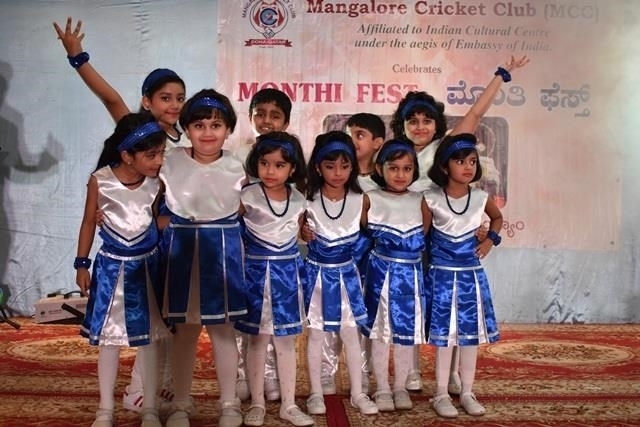 Tiny kids once again rocked the stage with lively performance on the song "Apalipa kukulipa" choreographed by Shaila Menezes. 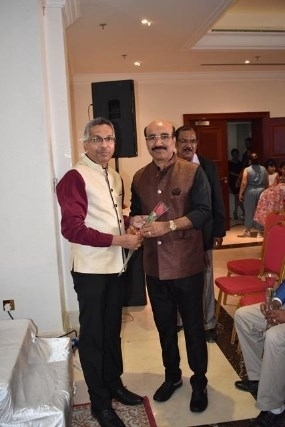 Icing on the cake was when Chief Guest Roshan D’Souza entertained the crowd with his beautiful rendition of "Ashe Kennai" and won the hearts of the people. 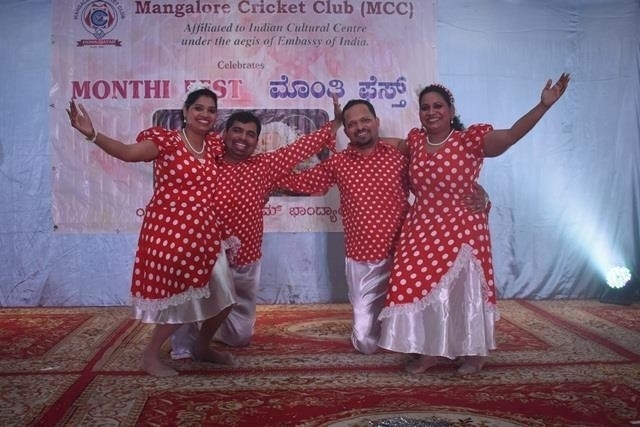 This followed by an entertaining couple dance presented by Roshan/Roshini Banz and Stephen & Shalini Misquith dancing to the tunes of retro old Konkani & Hindi songs choreographed by Sean Fernandes. 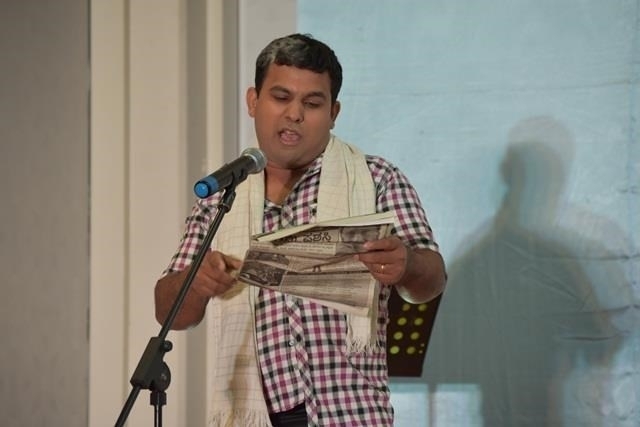 Another solo song "Tu Ye" was beautifully presented by Patrick D’Souza. 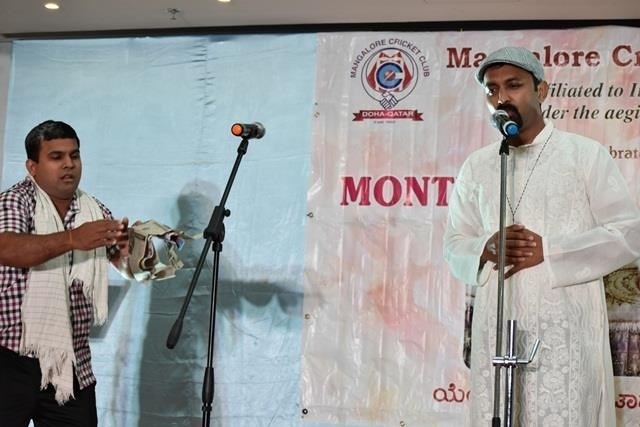 To entertain the crowd and lighten the mood, duo Amith Mathias & Jason Menezes again came with another rib tickling comedy and had the crowd in splits. 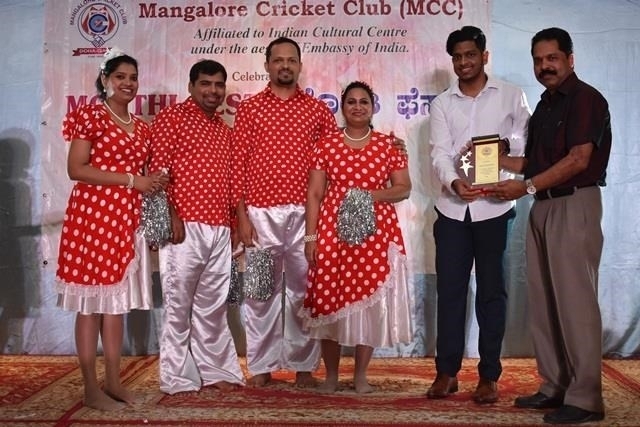 Young dancers rocked the stage again with some lively konkani folk songs mashup choreographed by Sean Fernandes presented by Shaila/Pradeep Menezes, Shown Fernandes, Ashlyn D’Souza, Derick Crasta and Veronica Baretto. 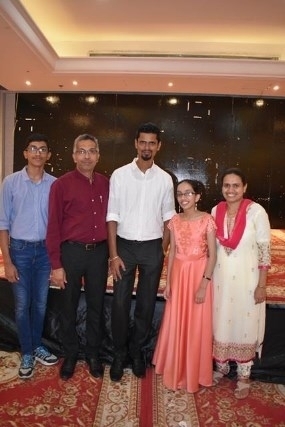 Another solo song was presented melodiously by our young budding singer Melrick D’Souza. 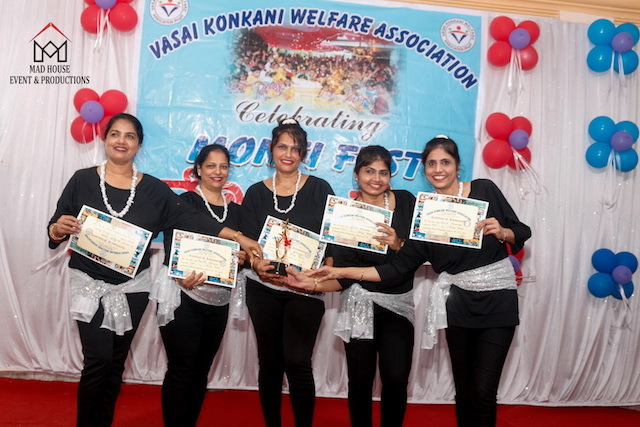 Feet tapping dance was presented by lovely ladies for a konkani songs mashup Reema Sequeira Fernandes, Gina Menezes, Violet Pais, Iral D’Souza, Sonia D’Souza, Riana Pinto and Dorothy Noronha again choreographed by young Sean Fernandes. 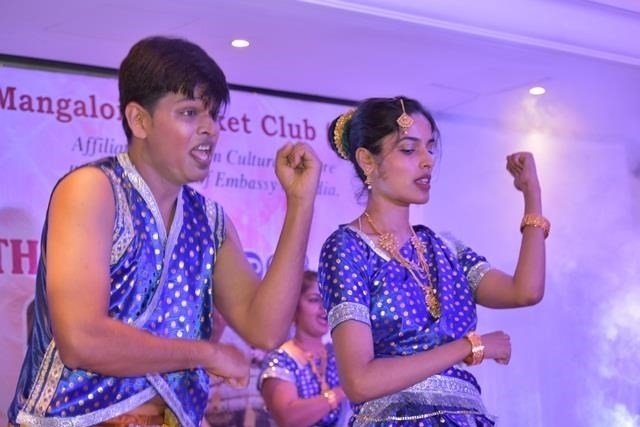 Cultural program ended with a final rocking performance from youngsters on fast Konkani hit numbers by Andrea D’Souza, Naveen D’Souza, Carol D’Cunha, Sean Fernandes and was choreographed by Carol & Sean. 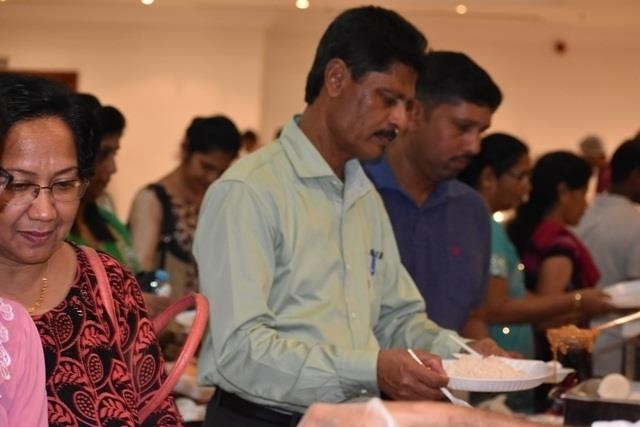 Program concluded with “thanksgiving Laudate” before the dinner. 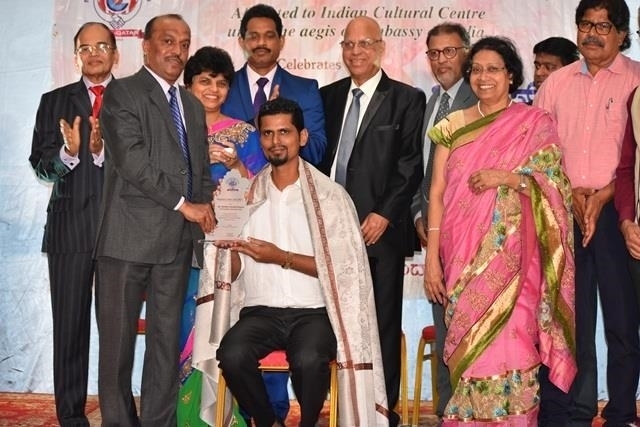 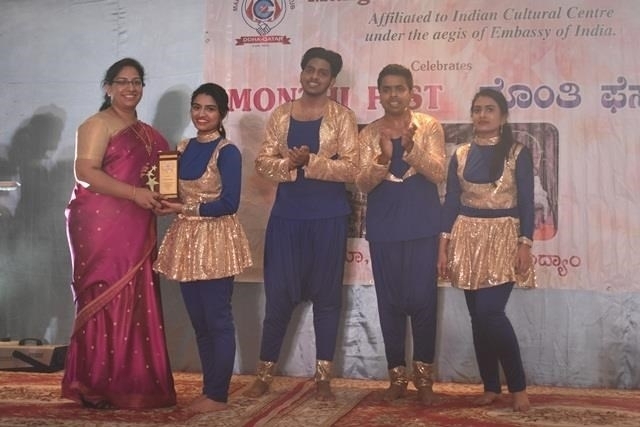 All participants, singers were presented with participating certificate and choreographers were presented with mementos acknowledging them for their contribution to the program. 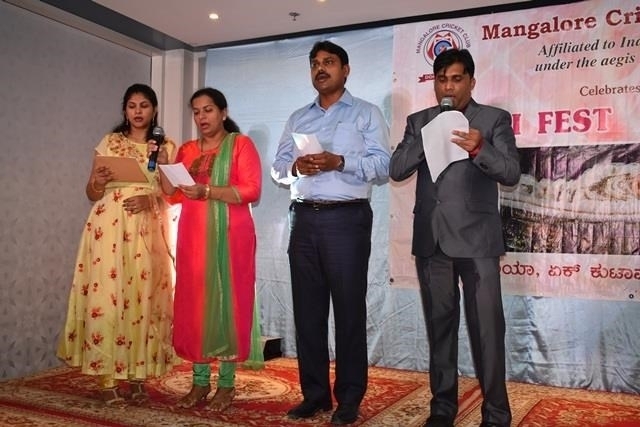 In between the program, short spot games too were conducted. 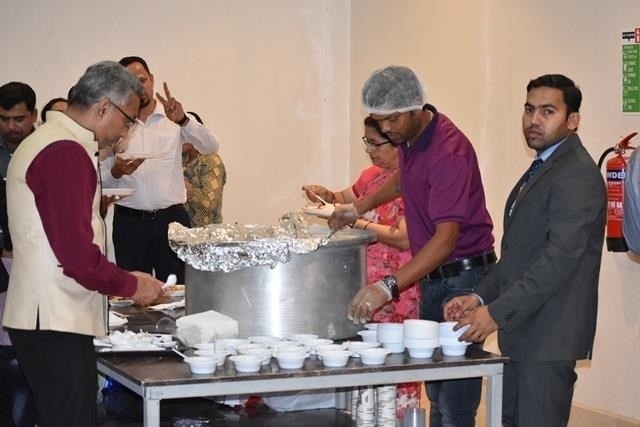 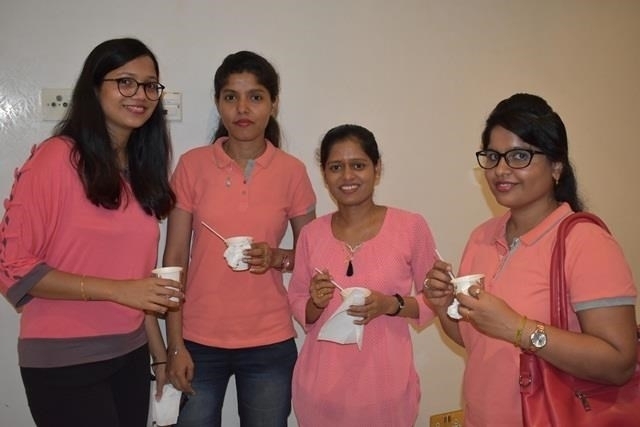 Our own members volunteered and came together to cook 7 types of vegetables including Alum Dhento curry, Roce and Vorn under the leadership of Jyothi Pereira, Vivian D’Souza and David D’Souza in Jerald D’Mello’s house. 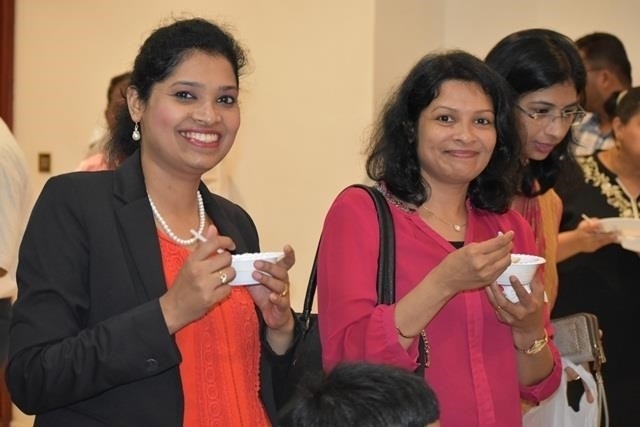 Home made Sannas prepared by some ladies at home was also there and treated all with a sumptuous Novem Jevaan relished and enjoyed by all. 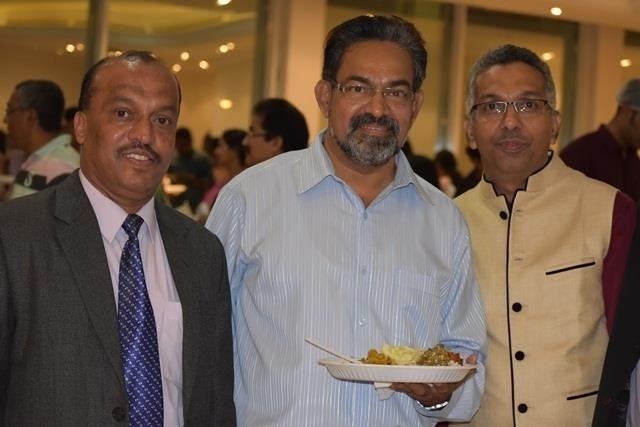 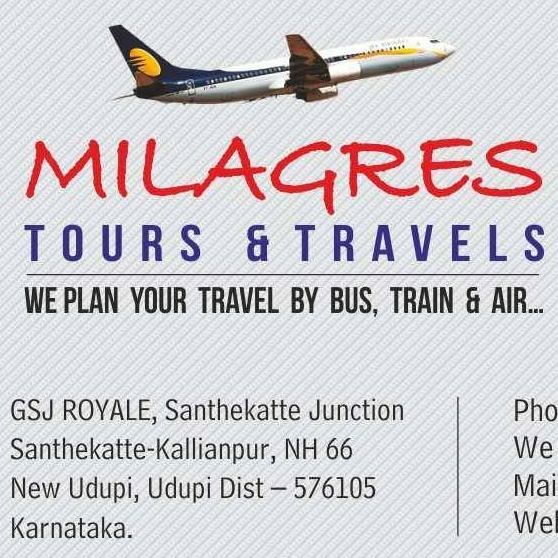 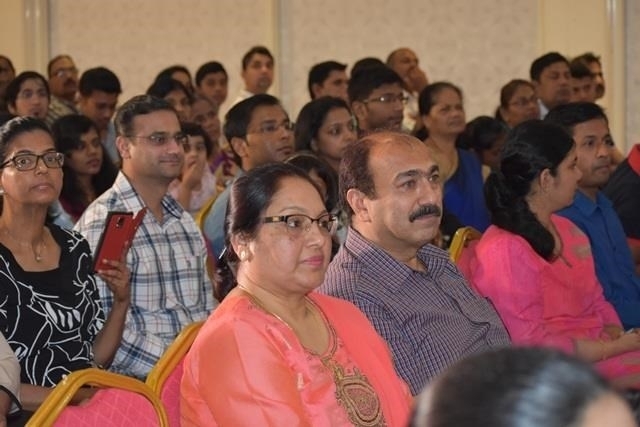 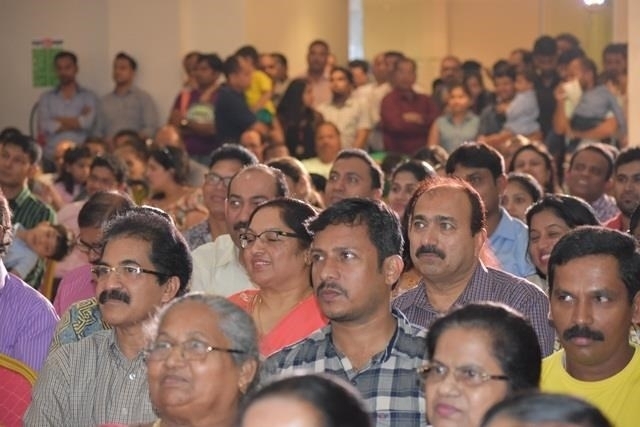 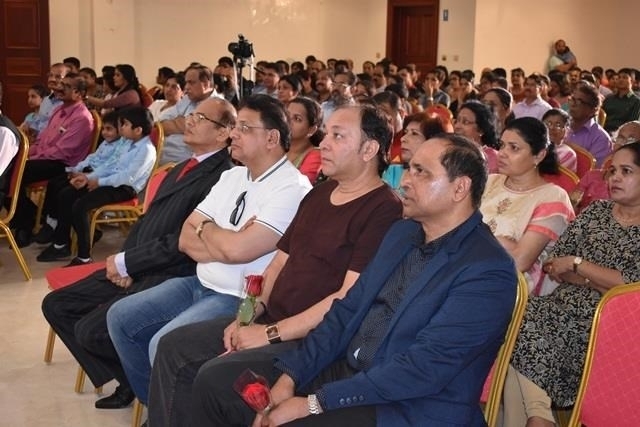 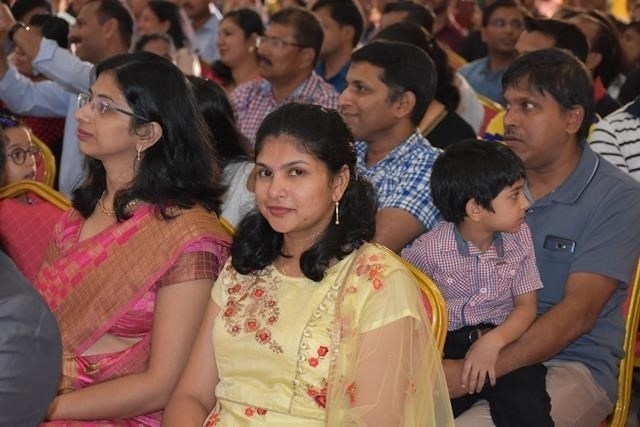 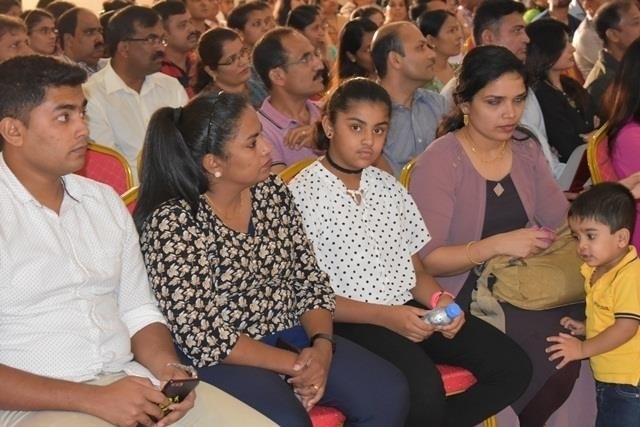 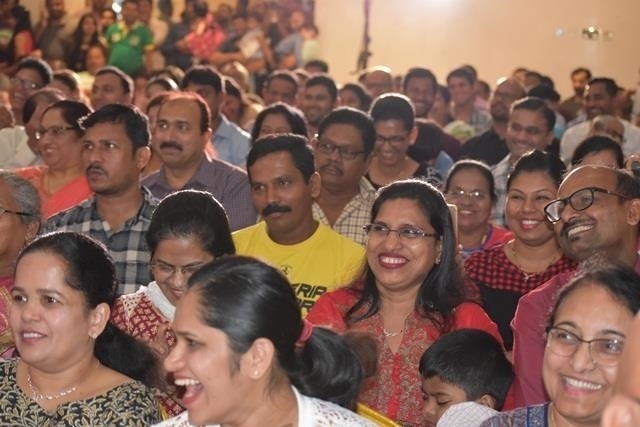 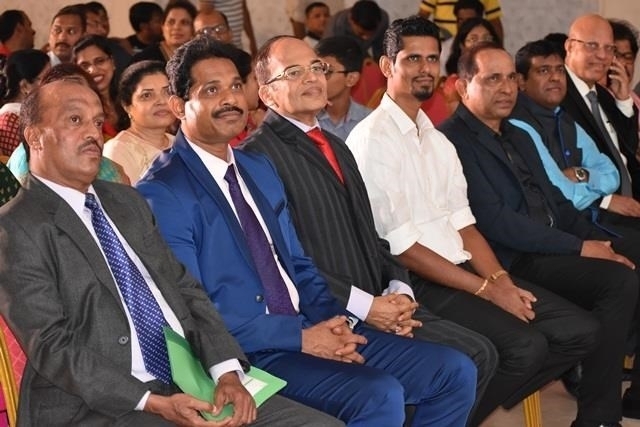 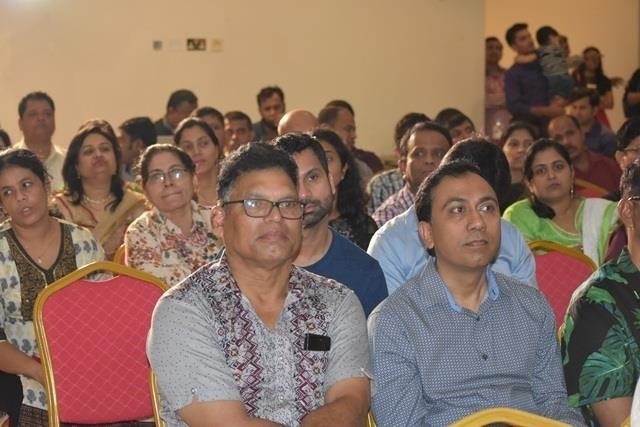 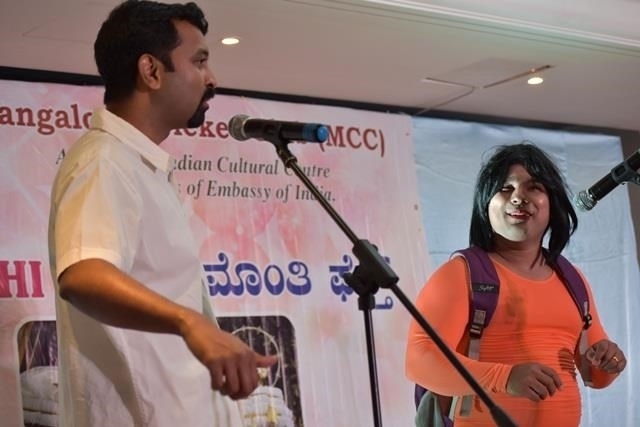 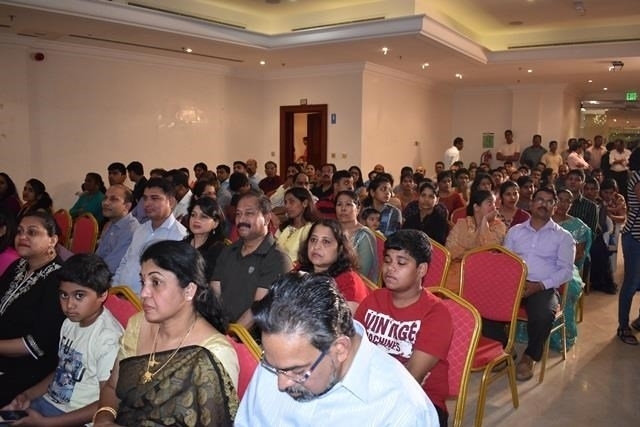 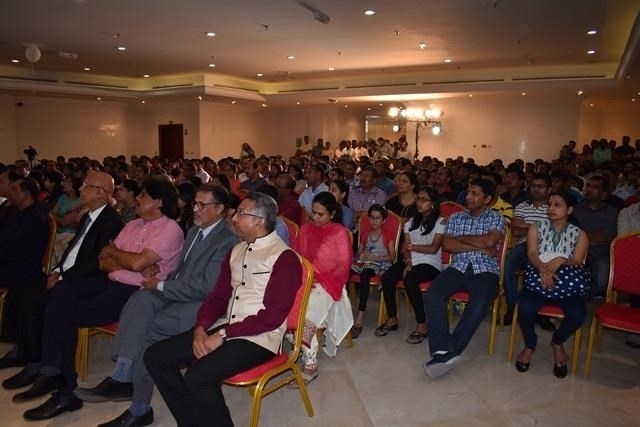 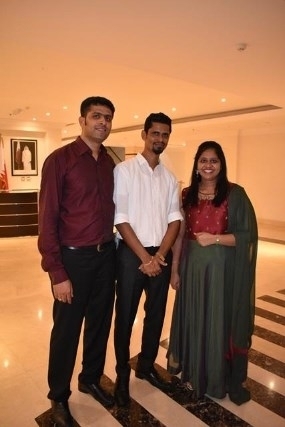 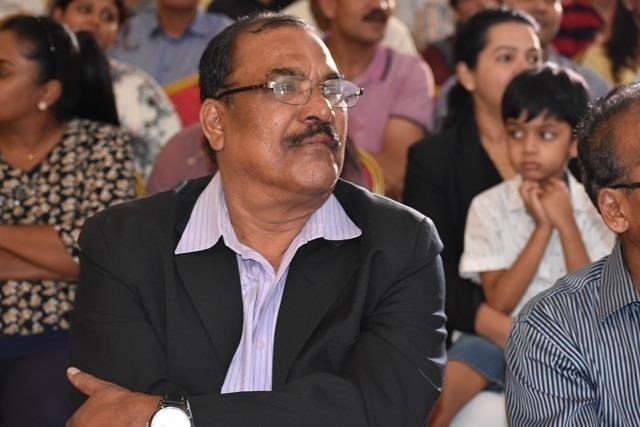 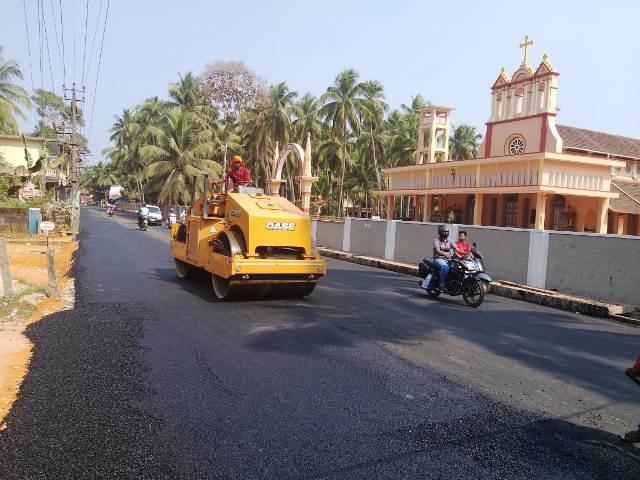 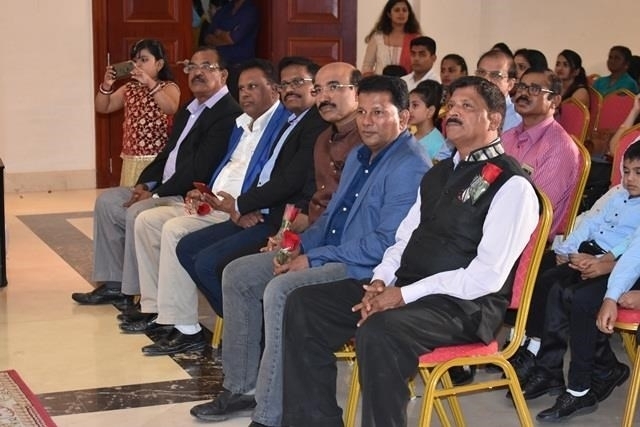 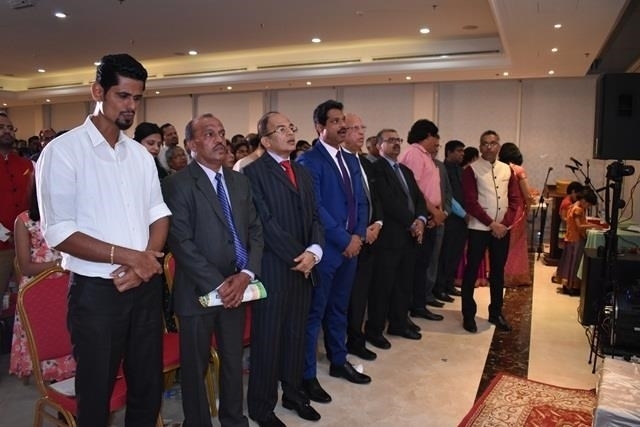 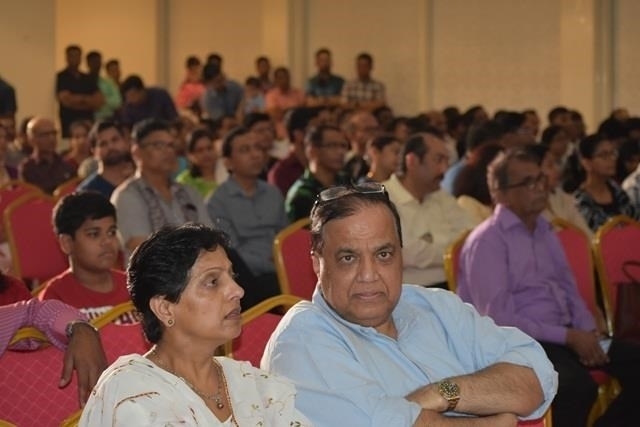 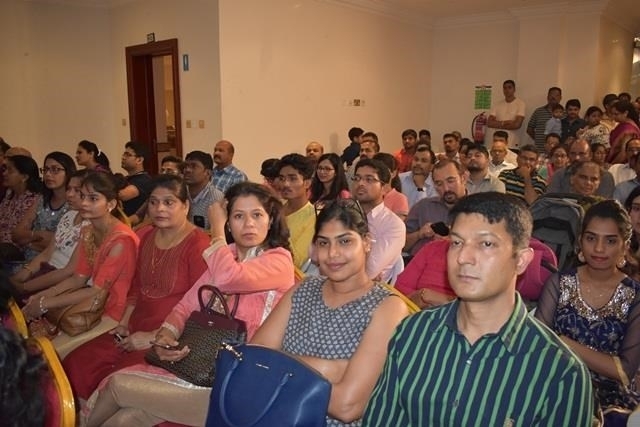 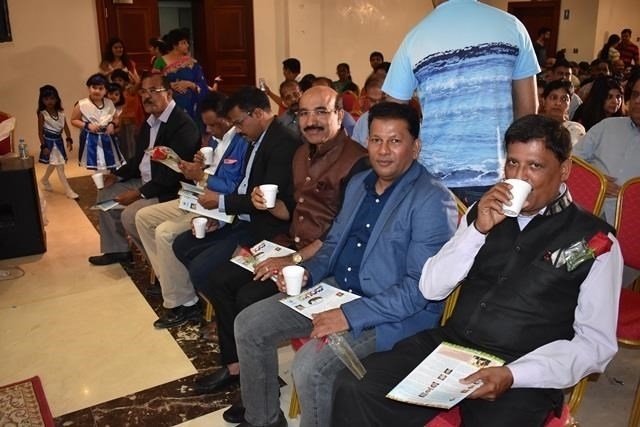 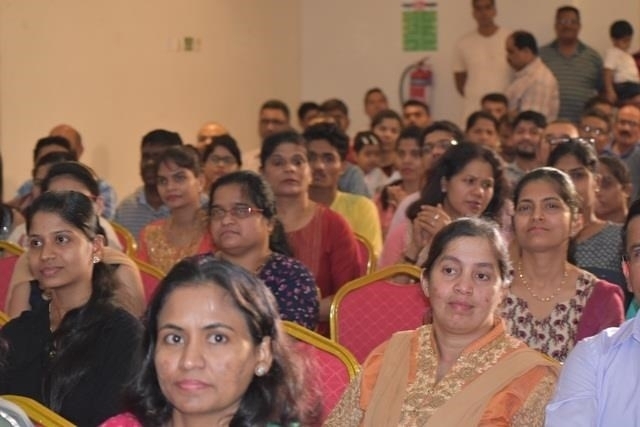 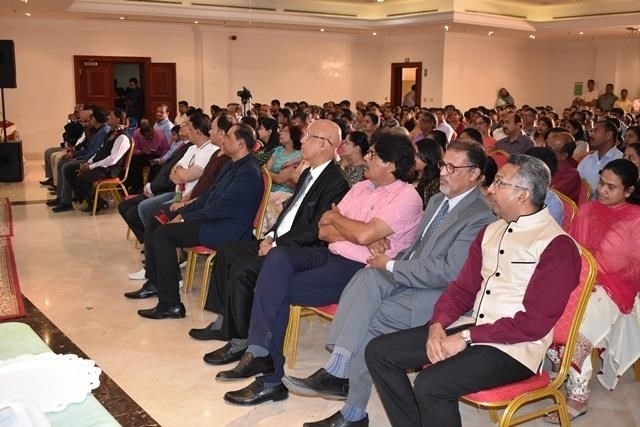 The whole program was compered by Gladson Almeida and Westrin Joyline Lasrado meticulously in their fluent Konkani language and did a commendable job. 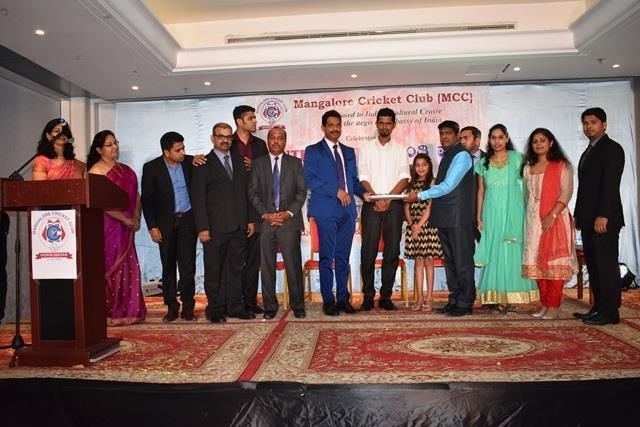 They too were presented with a memento as a token of appreciation. 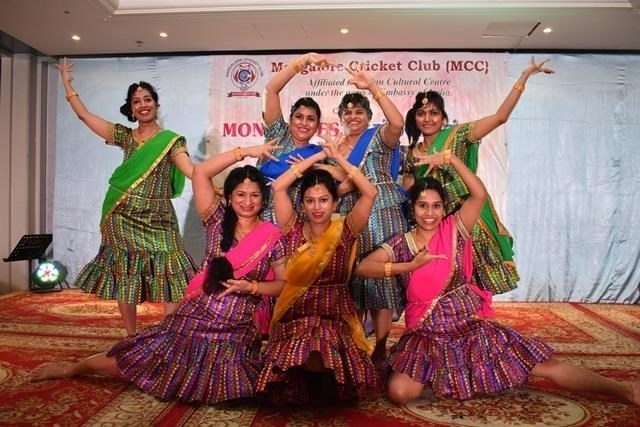 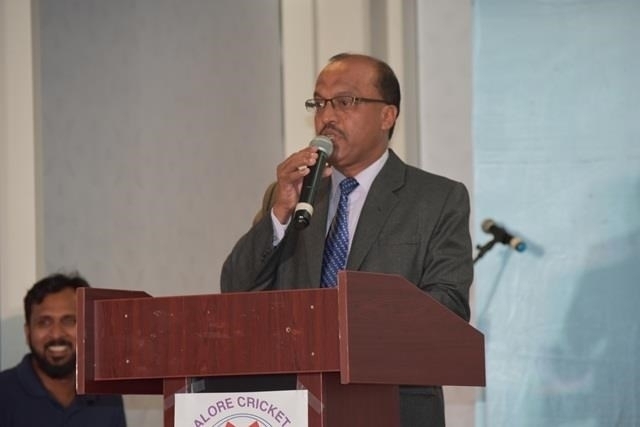 MCC President thanks Cultural Secretary Kavita Tauro and her whole cultural team for presenting a wonderful evening packed with all songs, dances, jokes and games and presenting a high quality program which was greatly appreciated by all present. 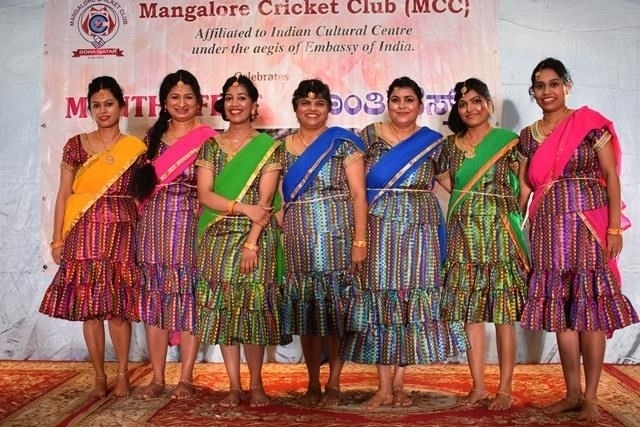 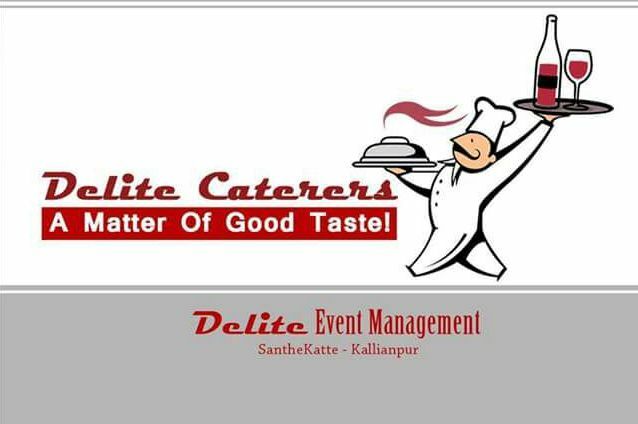 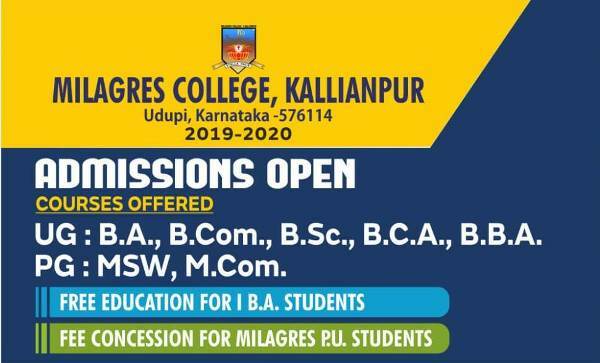 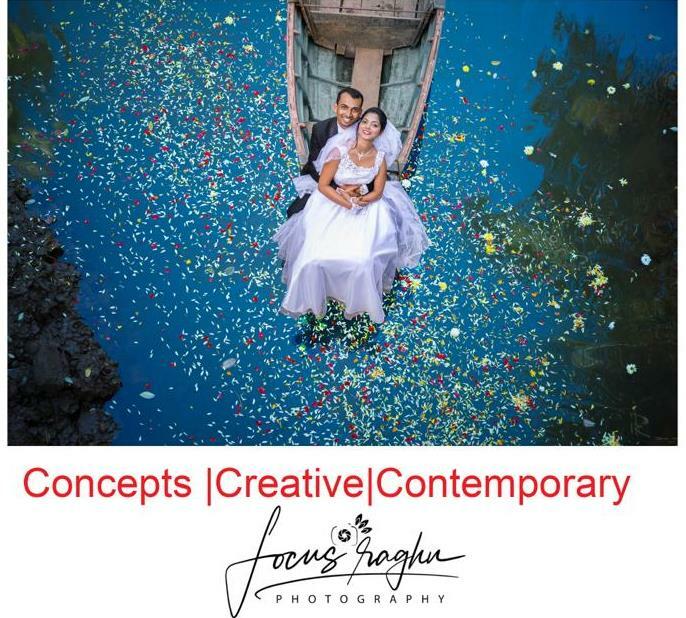 MCC has always given the platform for new talents to showcase their talents. 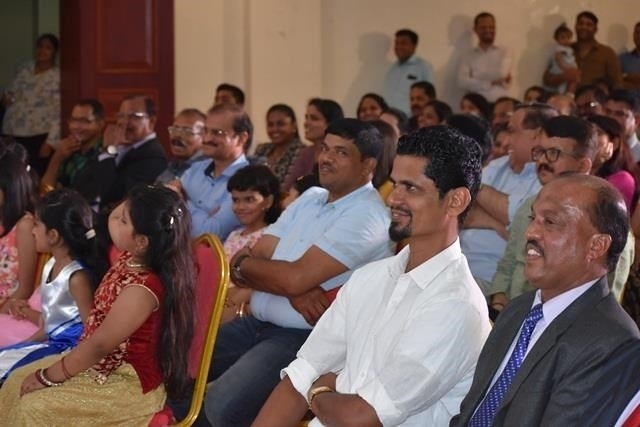 Witnessed by all, as many new faces including kids and adults talents galored and made the program more colourful.